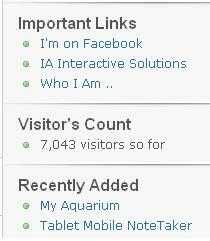 1015 visitors in 25 days ..
the count of visitors from 6020 to 7040 come up in 25 days …. This entry was posted in About Me and tagged 1015 visitors, visitor's coun, visitors. Again … many many many thanks to Allah Almighty .. Its all due to his unlimited blessing … who give us wisdom and knowledge and make us able to share knowledge to others ..
the count of visitors from 5000 to 6020 come up in 28 days …. next 1000 visitors in 28 days. This entry was posted in About Me and tagged Next 1020 visitors in 28 days, visitor's coun, visitors, visitors counts at AWC.